Welcome to our focused troubleshooting series that deals with Wi-Fi, network, and mobile data related problems on the Samsung Galaxy S3. In this installment of the series we will tackle problems such as the phone not connecting to a Wi-Fi, not having a mobile data, or not having any network signal at all. We will tackle some real world problems that our readers are facing by providing the necessary troubleshooting steps to take which would lead to a resolution. If you own a Galaxy S3 or any other Android device for that matter then feel free to contact us using this form or you can also send us an email at [email protected]. I however suggest using the form since it’s a much easier method. Solution: Try to restart your phone and the wireless router first to reset the connection. Before connecting to the wireless network make sure that there are no obstacles between both devices such as walls. Turn on the Wi-Fi of your phone then long press on the Wi-Fi network and forget it. Connect to it again. You may need to enter the network password to connect again. If you are still noticing a weak connection then try connecting your phone to a different Wi-Fi source. Problem: Hello. Recently I am facing Wi-Fi authentication error on my Samsung Galaxy S3. I have been using this device since 2013 and never found this type of error. I can not connect to any Wi-Fi access point and when trying it shows authentication error. I tried everything like changing the router password, forget password in my device and re-enter password, rebooting my device. After that I upgrading my device from android 4.3 to 4.4 and also done factory reset. Still no luck. One thing that I can connect to another Wi-Fi hot-spot (from another mobile device) which has no password (open Wi-FI). Later I found in one article that some apps location permission deny can cause this type of problem and as far I remember, I have done some location permission denying on some apps. But I forget where I have done this changes. Please help me to solve this problem. Thanks. Solution: If you suspect that an app may be causing this issue then you should start your phone in Safe Mode. 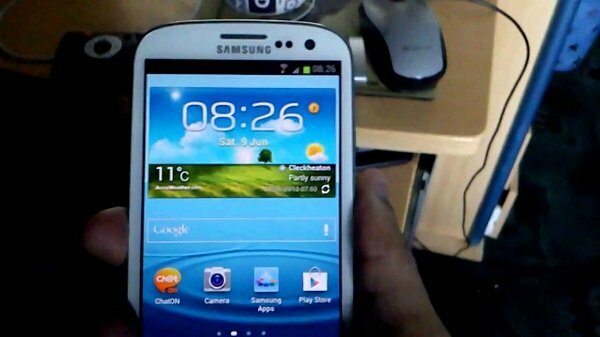 When ‘Samsung Galaxy S III’ appears on the screen, release the Power key Immediately after releasing the Power key, press and hold the Volume down key. Try connecting to your wireless network and see if the error message still pops up. If it doesn’t then the issue is most likely caused by an app installed in your phone. You will need to find out what app this is and uninstall it. If however this issue is not caused by an app then proceed with the troubleshooting steps listed below. Try to determine first if the problem is not caused by your router by connecting another device to it. If the authentication error appears on the other device then the issue may be with your router. If the problem is not with the router then reboot your phone and the router. Once your phone has fully booted turn on the Wi-Fi then tap on your Wi-Fi connection from the list and forget it. Search for the wireless network again then connect to it. If you still can’t connect then you may need to change the encryption type used by your router. There have been reports of this model having difficulty connecting to a network that uses the WPA2 encryption. Problem: Hi there. I was given a new/unused factory unlocked S3. It was originally a Bell Mobility phone. When I insert my working Bell SIM card, the phone detects that the SIM is inserted but I get no mobile network signal (represented by a circle instead of the number of bars at the top of the display). It has been upgraded to the latest version 4.4.2 for that phone using Wifi and I verified that the IMEI is valid and not blacklisted. I also tried a wipe and factory reset. Some other observations: when I do NOT have a SIM card inserted, the phone indicates no SIM card inserted, but I get random cycling of mobile signal from none->1 bar->2 bars, etc. As soon as I insert a valid SIM, the mobile signal is forever set to none. Do you have any suggestions? I am wondering if it is a mobile antenna problem? Solution: Try inserting another SIM in your phone (preferably from a different network) and see if the problem still occurs. You should also try a Bell Mobility SIM to verify if the phone is getting a signal and has been successfully unlocked. If your phone can read the Bell SIM but not the SIM of other networks then there may have been an issue with the unlock process. If your phone cannot get any signal at all with different SIM cards then back up your phone data and do a factory reset. If the problem still persists after this then it may already be caused by a faulty hardware, possibly the antenna. Bring your phone to an authorized service center and have it checked. The above codes are some of those I tried using. another website says on new devices the codes have been disabled. I was hoping you could share some knowledge on what I should do to fix my phone. Hopefully Thanks. Solution: The best thing you can do right now is to backup your phone data and do a factory reset. This reverts your phone back to its original condition and hopefully will resolve this issue. Hi, I have a Samsung Galaxy S3 which has been working fine but today I find I cannot turn on either the wi-fi or the bluetooth. Can anybody help. hello, am Gisele, i have galaxy S3 my phone got bad and i took it to a repairer. after repairing it i discovered i could neither put on the wifi nor bluetooth. please i really need you help. Hi my problem is somewhat different. I have a Galaxy S3 (Verizon) i535(i think) and when I turn on the wifi or bluetooth the screen indicates they are on but in approximately 5 seconds they turn off again. I have checked to be sure the “power saving” mod is not on. Would appreciate any suggestions you might have.